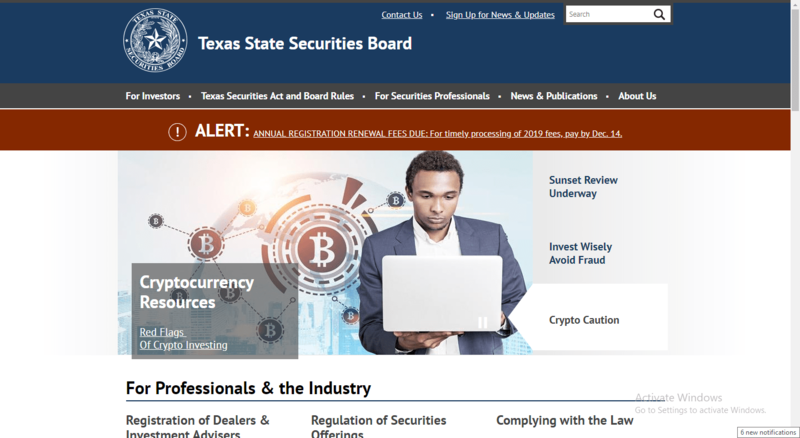 Joe Rotunda of the Texas State Securities Board speaks about the agency’s measures against fraud associated with cryptocurrencies and regulators’ efforts to protect investors. Regulatory compliance is one of the most (if not the most) stressful points surrounding cryptocurrencies. Regulators across the world strive to understand and effectively classify blockchain-based projects, in an attempt to protect the investing public from fraudsters who plague this nascent industry. Joe Rotunda, the Enforcement Division Director at Texas State Securities Board, is well-known for his positive stance towards digital currencies. He shared his views with [blokt] about the hurdles regulators are facing as the cryptosphere constantly changes and bad actors employ new ways to deceive their victims. He highlights the need for regulators to adapt to the new practices blockchain technology has introduced and to act against wrongdoers without interfering with innovation and legitimate entrepreneurship. Nick Tsakanikas: We’ve noted the actions which the Texas Securities Commissioner and others have taken against bad actors in the space. Have these actions acted as a deterrent? Do you see any change in the amount of fraud in the sector? Joe Rotunda: Bad actors are continuing to leverage widespread interest in cryptocurrencies to victimize the investing public. The Enforcement Division has now secured 16 enforcement actions to stop 57 promoters of illegal, fraudulent, deceptive and/or misleading cryptocurrency investment products. In many cases, we know these enforcement actions have led to promoters stopping their schemes, thereby precluding them from recruiting new victims and continuing to threaten harm to the public. For example, on January 4, 2018, the Securities Commissioner entered an emergency cease and desist order against BitConnect. The issuer’s market capitalization was around $2.6 billion at the time the action was entered. Shortly afterward, BitConnect publicly announced that it would comply with the emergency cease and desist order. Its market capitalization decreased by 98.6% over the following month, and now its coins are essentially illiquid and worthless. As a result, BitConnect can no longer threaten immediate and irreparable public harm. In some cases, a new bad actor emerges after the collapse of its competition. For example, after BitConnect stopped its fraudulent cryptocurrency investment scheme, DavorCoin announced that it was taking over the top spot, claiming that the demise of BitConnect meant that DavorCoin was “the number one lending platform in the world.” The Securities Commissioner immediately entered an emergency cease and desist order to stop DavorCoin from illegally and fraudulently offering its securities in Texas. Over the next two weeks, the price of DavorCoin decreased by 88.6%, dropping from $8.36 to $0.036 per coin, and the coins are now essentially worthless. As a result, much like BitConnect, DavorCoin can no longer threaten immediate and irreparable public harm. We stand ready to take future actions against firms like BitConnect, who were running an illegal widespread investment scheme, and against firms like DavorCoin, who fraudulently solicit the public after the collapse of their competition. We are continuing to open investigations relating to fraudulent cryptocurrency offerings and have now opened more than 100 investigations where suspects are offering potentially illegal or fraudulent securities tied to cryptocurrencies. This is not necessarily a unique phenomenon, as bad actors have historically attempted to capitalize on hype, interest or developments in the financial markets to illegally and fraudulently raise capital from the public. We’ve seen similar situations arise when bad actors began playing a new market, such as fraudulently selling investments in life settlement contacts during and after the AIDS epidemic and HIV crisis of the 1980s and 1990s, when bad actors follow the price of a commodity, such as fraudulently selling investments in oil drilling programs in response to the increase or decrease in the price of oil, and when bad actors attempt to capitalize on new technologies, such as fraudulently selling investments tied to payphones and automated teller machines. Our job is to protect investors from bad actors fraudulently selling these securities, whether they involve cryptocurrencies, investments in life settlements, investments in oil drilling programs, investments in payphones and automated teller machines, or interests tied to any new or unique product. NT: In your view, where lies the responsibility to keep investors safe? Within the industry, with regulators, or a combination of both? JR: The State Securities Board is responsible for regulating the securities market in Texas, and its Enforcement Division is responsible for protecting investors by identifying securities offerings that violate the law and pursuing any appropriate administrative, civil or criminal enforcement action. This is our responsibility, and it’s one we take very seriously. At the same time, anyone in the securities market that is offering or selling securities in Texas has a responsibility to comply with the Securities Act, which generally requires the registration of persons selling securities in Texas and the registration or permitting of securities offered in Texas. The Securities Act also contains disclosure requirements that are critical to the protection of the investing public, and arguably the most notable disclosure requirement provides that all sellers of securities must disclose all known material facts to potential investors. The disclosure of all known material facts serves an important function, as it ensures that investors are able to fully understand the risks associated with a securities offering and make a fully informed decision relating to their willingness to assume these risks. As the old saying goes, knowledge is power, and in this case, the power allows investors to understand the terms of their investment and the risks associated with the investment before they part with their money. NT: Do you believe the cryptocurrency sector is ready to see investment products catering to a wider audience? e.g., ETFs. JR: The industry dealing with digital currencies have been marked by evolution, change, and innovation. What we’re seeing right now may not be what we see in the future. I really think we benefit from reflecting on the past when considering the relatively rapid development of the modern market for investment products tied to virtual currencies. We’re all familiar with tradable virtual currencies used in World of Warcraft, Everquest and other popular video games and MMORPGs. We’re also familiar with digital tokens that can act as very limited virtual currencies, such as rewards provided by merchants that provide discounts or can be exchanged for goods or services. These types of online currencies have been around since the intersection between computers and the internet, and they’re likely not going anywhere anytime soon. The market really began to take its form when organizations began developing virtual currencies that could be used as a true substitute for fiat currency, and when their work began to account for the double-spending issue that plagued potential online payment systems. Around twenty-five years ago, for example, a small group of promoters created e-gold to act as a substitute for cash. They touted it as “e-gold” because each unit was supposedly backed by gold bars stored in facilities outside of the United States. E-gold itself became very popular, at its peak boasting more than 2.5 million participants who effectuated more than 40,000 transactions per day. This virtual currency was neither the first nor the last attempt to create an electronic payment system that operates as a substitute for cash. Still, after the demise of e-gold and continuing through recent years, digital currencies in their most recognized form typically only attracted the attention of relatively niche groups of developers, enthusiasts, and hobbyists. Recently, however, digital currencies acting as part of electronic payment systems have dramatically increased in popularity. Bitcoin, not surprisingly, lit the spark. Satoshi Nakamoto introduced Bitcoin only around three years after the peak of e-gold, and it has obviously proven immensely popular. Just to put these two instances into context, e-gold claimed its twenty-four-hour trading volume was the equivalent of around $6 million at its peak. The twenty-four-hour trading volume of Bitcoin was in excess of the equivalent of $13.5 trillion at its peak. Yeah, we’ve come a long way. We know that Bitcoin wasn’t widely popular in 2008, when Satoshi Nakamoto introduced it into the market. Bitcoin was trading for around $13.00 per coin as recently as January 2013 and around $100.00 per coin as recently as April 2013 before spiking to around $1,200.00 per coin in November 2013. Although the price fluctuated after that point, the price of Bitcoin again spiked in 2017. On July 13, 2017, Bitcoin was trading at approximately $2,364.00 per coin. Three months later, on October 13, 2017, its price had more than doubled and Bitcoin was trading at approximately $5,640.00 per coin. Its price climbed to around $7,777.38 on November 17, 2017, and roared to its peak at nearly $20,000.00 in December 2017. Although the price has since decreased, it remains extremely popular. Given the widespread recent acceptance of Bitcoin, it’s not surprising that the number of cryptocurrencies in the market has also increased, and that promoters are not just using the technology to create electronic payment systems but that they’re using the technology for various means of raising capital. We’ve seen the advent of initial coin offerings, securitized token offerings, utility coins, managed and hosted cryptocurrency mining investments, cryptocurrency trading investments, portfolio allocations that include cryptocurrencies and issuers raising funds to develop hardware and software tied to the cryptocurrency markets. I do not doubt that other types of investments will begin to be introduced and generate interest. The past provides at least some clue as to how this market may develop and how it may generate interest in new types of investments. It took a long time for organizations to overcome the double-spending problem and create a viable electronic payment system. It took a long time for this electronic payment system to generate widespread interest. Entrepreneurs and innovators have rapidly changed the market for cryptocurrencies, having now introduced more than 2,000 bona fide cryptocurrencies into the market, and interest in cryptocurrency investment products has led to a host of different interests that, at this time last year, remained a mystery to many outside of a dedicated group of enthusiasts. As a result, I would not be surprised in the least to see promoters develop new types of investments tied to cryptocurrencies and for these new types of investments to generate widespread appeal in the very near future. NT: We’ve seen numerous hacking events (in many cases dubious) associated with cryptocurrency exchanges, the latest being MapleChange. Do you believe regulators would be able to eliminate fraud associated with crypto exchanges? Do you have the resources to enforce absolute transparency? JR: I clearly remember when Mt. Gox was hacked and we began seriously increasing our contemplation of cybersecurity and the need to secure cryptocurrency exchanges. Around February 24, 2014, the same day Mt. 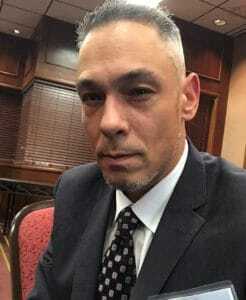 Gox was hacked, I was driving to speak publicly about cryptocurrencies at an event in San Antonio, Texas. I learned that Mt. Gox went dark after checking the price of Bitcoin on my phone that very morning. Needless to say, although the details of the attack had not been fully disseminated, most of the information I planned to present at the event was overshadowed by the possibility that hackers stole almost a million Bitcoin and customers lost millions of dollars. This became the highlight of the presentation mostly, I believe, because the audience could easily picture themselves in the same position as the account holders: lost, confused, frightened, not knowing where to turn for answers. At that time, we did not have complete information relating to the incident at Mt. Gox, and the company’s bankruptcy filing several days later did not reveal a significant amount of additional information. I was very concerned that this would be only one in a series of immediate hacks of popular cryptocurrency exchanges that may lead to numerous owners losing unquantifiable amounts of money. Also, at this time Bitcoin was still in its infancy, and these types of incidents, even though they were perpetuated on third parties, could easily quash confidence in the cryptocurrency if they created a belief that owners are not able to get into a position and out of a position without a significant risk of the theft of their funds. That said, cybersecurity remains a key issue for regulators. Our agency, FINRA, SIFMA, the SEC and the FCC have all issued guidance and informational resources relating to cybersecurity. These resources typically relate to registered firms and securities transactions, but the key takeaway is the same: cybersecurity is an increasingly important component of our financial markets. NT: Until now, governments have been making independent decisions over cryptocurrencies regionally. In your opinion, should there be a common regulatory framework strictly followed by every country internationally? Is it possible? JR: This is a policy question and I can’t really answer it. That said, we already have laws and regulations that govern national and international financial systems and markets. I wouldn’t be surprised if we hear more and more about various governments considering, and in some cases reconsidering, the applicability of these laws and regulations to cryptocurrencies. I am neutral on the subject and express no opinion. NT: Cryptocurrencies like Monero and ZCash ensure absolute anonymity and privacy in transactions and have been extensively used in illicit activities. Therefore, do such digital assets pose an additional threat for regulators, hence should they be treated more strictly than Bitcoin? JR: I do not have an opinion one way or another on the threat posed by these cryptocurrencies and can’t comment since we largely regulate investments tied to cryptocurrencies and not the cryptocurrencies themselves. NT: Last May, Hester M. Pierce expressed the importance of an in-depth education for regulators regarding cryptocurrencies. How well do regulators comprehend cryptocurrencies and blockchain technology? JR: I’m not familiar enough with Commissioner Pierce’s statements to express a more thorough opinion, but I do believe that regulators need to stay on pace with or stay ahead of, developments in the market. We’ve proven that we can tackle fraud in the most complex securities offerings, and our ability to adapt and evolve with the market is critically important to our success. NT: Ms. Pierce also highlighted that regulators should collaborate with crypto entrepreneurs in a “regulatory sandbox” as she said. However, the regulatory interference hides traps which could affect innovation. What is your take on this subject? Should innovation be unbounded? JR: I can’t comment on regulatory sandboxes. The matter is and will likely continue to be taken up by legislatures, so I’ll defer for the time being. NT: Do you believe crypto entrepreneurs will embrace SEC’s FinHub? JR: The SEC’s Strategic Hub for Innovation and Financial Technology (FinHub), much like the CFTC’s LabCFTC, is important. Regulators often engage with firms operating in the traditional capital markets, and regulatory outreach has proven important in learning about and understanding “best practices,” and considering new and efficient solutions to existing issues. We even solicit and carefully consider public comments before amending existing regulations or adopting new regulations, because regulators need to make fully-informed, meaningful decisions. Interaction is an important driver of fully-informed, meaningful decisions. NT: Do you believe the Howey test should be updated, in order to effectively classify ICOs? JR: Although the United States Supreme Court first articulated the federal “investment contract” standard in Howey in 1946, states have used the term “investment contract” as a means of regulating new, unique or other securities for more than a century. The term “investment contract” was first codified in the South Dakota Act of 1915. Shortly after the enactment of the statute, the South Dakota Attorney General’s Office first considered the type of product that constitutes an “investment contract” when reviewing the sale of fractional interests in an oil lease. It recognized that the investor made an investment and received a contractual obligation from the promoter and reasoned that this contractual obligation caused the transaction to be subject to regulation as an investment contract. The fractional interest in the oil lease, although on its face different from a stock, bond or other instruments commonly associated with regulation, therefore constituted a security. A lot has changed since 1915, when the average US wage was around 33 cents per hour, less than 7.5 million automobiles were registered in the United States, less than one percent of Americans owned stock, few Americans had a telephone and televisions, general-purpose computers and the internet had yet to be invented. The investment contract standard has nevertheless worked because it is not dependent – in fact, it is wholly independent – of these other factors. It was designed to be broad, to be flexible and to account for the various ways that one party, regardless of the availability of underlying technology, would use the funds of another in an attempt to generate a profit. NT: Which blockchain application has troubled regulators the most so far? JR: It’s not the product. It’s the people. I’ve been working on the intersection between cryptocurrencies and securities offerings since 2013. At that time, I was part of the North American Securities Administrators Association, often referred to as NASAA. This organization was formed in 1919 and is the oldest international organization devoted to investor protection. Its membership consists of 67 states, provincial and territorial securities agencies from the 50 states, the District of Columbia, Puerto Rico, the US Virgin Islands, Canada, and Mexico. As part of the Vice-Chair of NASAA’s Enforcement Section, we studied and drafted a release warning about the risks digital currencies presented to the investing public. I started speaking publicly at different events that year, describing cryptocurrencies and their incorporation into the financial markets. The message was clear then, and it’s clear now: It’s not the product. It’s people. A review of our enforcement actions, as well as enforcement actions brought by other regulators, shows that we’re concerned about bad actors leveraging the hype associated with cryptocurrencies to defraud the investing public. We’re not bringing actions against products because of any features contained in the products; we’re bringing actions against people for concealing critical information, misrepresenting and lying about key terms, hiding their identities and their locations, spoofing emails, misappropriating likenesses and engaging in other deceptive acts to victimize the public. These bad actors – the people, not the technology – deserve our attention, and we’re working to stop them from inflicting imminent and irreparable harm to the public. That said, blockchain and distributed ledger technology itself does present a number of challenges to regulators. For example, when investigating schemes involving fiat currencies, regulators are very comfortable with obtaining financial records – regardless of how voluminous or complicated the financial records may be – from a centralized financial institution. Our accountants and examiners are able to conduct thorough and accurate forensic analyses of these financial records, and their work shows how promoters obtained funds and how promoters used funds. This information is critical to white-collar enforcement actions, as it allows experts to show judges and juries whether suspects used funds for legitimate reasons or whether suspects used funds for purposes wholly unrelated to the underlying investment offering. The blockchain and distributed ledger technology changes everything, given that there is no centralized financial institution and the types of records now available greatly differ from checks, credit card statements, wire transfer authorizations and other records of transactions in fiat currencies. We’re quickly adapting and moving forward. We have to. There isn’t any other choice. NT: Which use case do you think could lead cryptos to mass adoption? JR: We are content-neutral and don’t express an opinion on underlying products so long as they are sold in compliance with the law. I will say, personally and not on behalf of the agency, that cryptocurrencies reflect an exciting new market and their technologies present new opportunities for entrepreneurs, existing businesses and government offices. I’m excited to see the future play out.